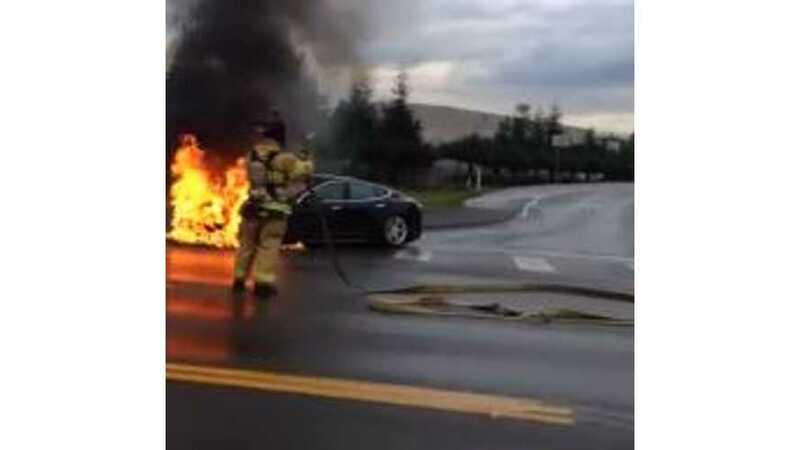 Washington Times: Tesla's "Friends in High Places" Ignore "Inherent Danger in Battery Power"
The Washington Times is not accepting of this official NHTSA response. "Electric cars are hot, but not necessarily in a good way. 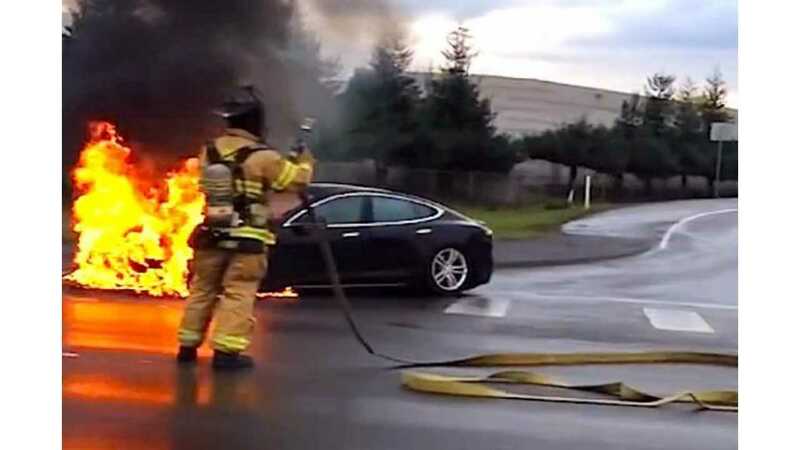 One of them, the Tesla Model S, ran over a rock in the road in Seattle early this month and burst into flames. The administration’s friends, if not necessarily the Tesla Model S, can always count on a break. Elon Musk, the CEO of Tesla and the golden boy of the green car industry, drew a pass. The National Highway Traffic Safety Administration declined to investigate the incident." "...The problem isn’t unique to the Tesla Model S. The electric Fisker Karma has burned down houses in Texas. After Hurricane Sandy, the remains of 16 new Karmas sitting on a dock in New Jersey exploded on exposure to water. General Motors refused to acknowledge the flammability problems of its electric offering, the Chevy Volt, with a recall. Instead, it offered a “customer satisfaction program” inviting Volt owners to take the car to a dealer to get a fix." "...Tesla has friends in high places who see that the company is treated with kid gloves and that the inherent danger in battery power is ignored. The administration has spent billions of dollars to create an electric car industry to make cars the American motorist doesn’t want. 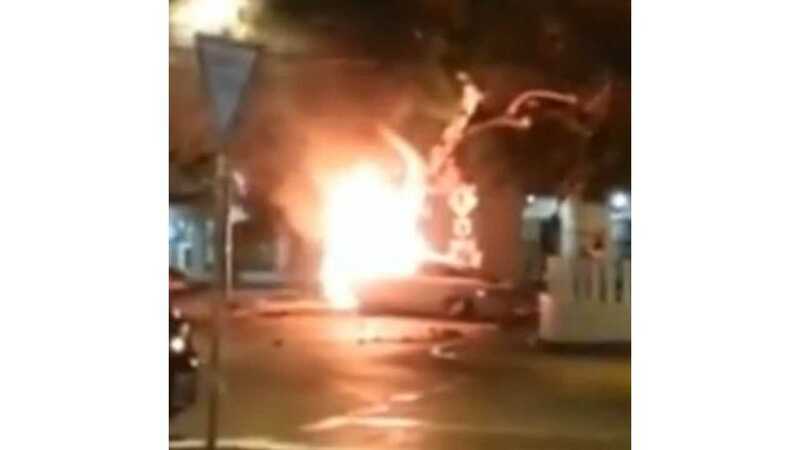 A few battery fires can’t get in the way of the green crusade to force Americans to trade their sedans for electric cars that cause only trouble." "...Electric cars make liberals feel good, and nothing shows off sensitive “concern” for the environment like a little car without a tailpipe. The harmful battery components, the product of a strip mine, and the emissions at the plant that creates the batteries are hidden from sight. We’ve tried electric cars, and steam cars and other fads, but there’s a reason why the internal combustion engine still rules the road. Short of a very long extension cord, none of the electrics are likely to threaten that rule." Is the Washington Times insinuating that Tesla Motors bought off the NHTSA? It sure seems as though that's what the Washington Times is implying, doesn't it? Get real...or, when it comes to electric vehicles, perhaps the Washington Times should get lost.